Cash has worth even if it’s backed by some shiny stuff or not. It has worth, smash a bundle on the wall and you can easily gather them back together and they’ll not loose their worth at all. But smash your brand new hard-cash Suzuki or Honda CD (Cash-deposit) 70 on the wall and see it depreciate inch by inch. Moreover, when the bundle of cash splatters around your floor, you can pick up one note and use it to buy a single bulb for your car’s indicator, but you cannot sell the bulb which was the only thing left intact after you smashed your car into the wall, food for thought isn’t it. Well, some might think that the idea of a garage sale is not afloat in Pakistan and some automotive enthusiasts maybe able to sale the pieces still intact but who else. One of the big three auto-assemblers in Pakistan raised prices of their cars after Government once again lift off the ban from car imports. The rest of the two are also going to raise the car’s prices soon. Straight answer to everyone asking almost anyone even remotely connected to auto industry. The answer is no, the prices of cars will not come down as it is evident by the Pak Suzuki’s few days old decision of jacking prices up. 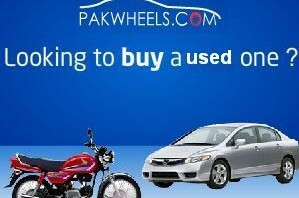 Sadly however, the rich yet poor consumers who happen to buy a hatchback for over 1.1 million rupees will be ripped off. The amount we spend to buy that car will never come back neither will we embrace any returns for the woes and cries we make on the long time taken for delivery. Also to add in everyone’s misery, the ministry of commerce has yet to act on the PM Yousaf Raza Gillani’s decision of January 7 to raise the age limit of import of cars. Some say it is due to the heavy influence of big three auto-assemblers that its taking so long on implementing the decision even after Prime Minister’s endorsement. Pakistan Motor Dealers Association Chairman H M Shahzad told Dawn that there are as many as 1,800 cars left stranded on Karachi port waiting for clearance from the past 15 days costing Rs35,000 to Rs40,000 to the owners and that ministry of commerce was delaying the notification deliberately to please the auto-assemblers. The cost that the owners are incurring through the delay of the notification won’t be recovered, or they may be able to cover it by transferring their costs to the end-users. 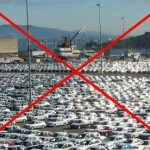 So in that case what’s the point of allowing the import of cars? Economist shall agree that consumers benefit the most from competition, or options but I don’t think they will be able to enjoy these options because they aren’t going to be cheap which is also the problem with cars locally assembled. At first only the US dollar and Japanese yen was expensive but now importers also had to face huge losses due to the incompetent decisions and the lack of implementation of them. Will the ordinary Pakistani benefit from the decisions and will the prices come down in the wake of these decisions, considering the above situations, perhaps not.